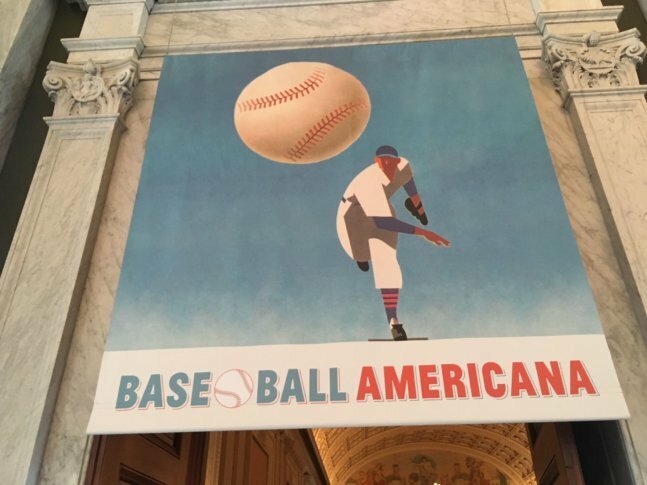 The "Baseball Americana" exhibition opening at The Library of Congress this week is more than a simple, historical record of the sport. WASHINGTON — Carla Hayden didn’t grow up wanting to be the Librarian of Congress. As a youngster in rural Illinois, raised as a Cardinals fan, sitting with her grandfather as he listened to two baseball games simultaneously on different radios while watching a third on a small, black-and-white television, she had other ambitions. “When I was a little girl, I wanted to be a shortstop,” she told the crowd gathered Wednesday morning for a preview of this summer’s “Baseball Americana” exhibition. That makes this a passion project for Hayden, along with curator Susan Reyburn, another die-hard baseball fan. But it’s more than just about the joys of the game itself. Hayden wanted the exhibition to reflect inclusiveness at every turn, another theme that hearkens back to the significance of her own childhood experience. That inclusiveness means there are artifacts from all over the history of the Major Leagues, but also well beyond that. There’s a uniform from the Rockford Peaches, made famous by “A League of Their Own.” There are photographs of children playing the game in Japanese internment camps during World War II. And, yes, there’s Willie Mays, standing tall alongside other legends of the game. What Jackie Robinson was for a generation earlier, Mays was for his own, proof that anyone could be the best player in the game. The exhibition — which opens to the public Friday, just in time for the lead-up to the MLB All-Star Game at Nationals Park — features 148 objects, but also includes a collaboration with ESPN Stats & Info. A team of five researchers pored over the records and data provided by the museum and, over the course of several months, produced roughly 100 pages of historical trivia. That was narrowed down into 50 questions that will test even the most knowledgeable baseball fans. There is also a slate of programming scheduled over the next few weeks, starting with a conversation between baseball writer Rob Neyer and “Moneyball” author Michael Lewis Thursday night at 7 p.m. at the Coolidge Auditorium. Academy Award-nominated actor David Strathairn will take part in a panel celebrating the words and voices of the game on Monday, July 2. The Library will screen “Field of Dreams” outdoors on Thursday, July 12 at sunset. And there will be other lectures and gallery talks throughout the exhibition’s run. In the end, though, Hayden hopes that the experience won’t just be informative and educational, but something that helps connect the generational love of the game that she herself shared. “We hope that grandparents will bring their grandchildren and people will talk about what baseball meant to them in their lives and their families,” she said.